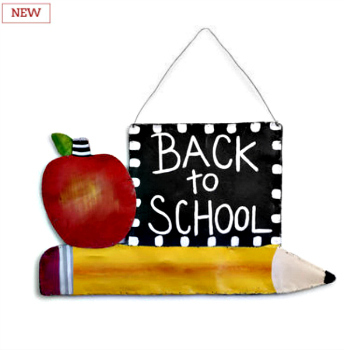 Back to School Door Hanger from Silvestri Screenings by Artist Peri Woltjer. Made of Screen. Measures 26.5" W x 15" H.